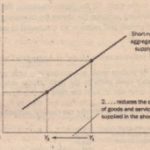 What determines the quantity of goods and services supplied . question earlier in the book when we analyzed the implicitly answered. 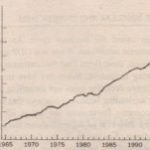 In the long run.When we analyzed these forces that govern long-run growth, we did not need to make any reference to the overall level of prices. We examined the price level in a separate chapter, where we saw that it was determined by the quantity of money. We learned.that if two economies were identical except that one had twice as much money in circulation as the other, the price level would be twice as high in the economy with more money, but the output of goods and services would be the same. Because the price level does not affect the long-run determinants of real GDp, the long-run aggregate . 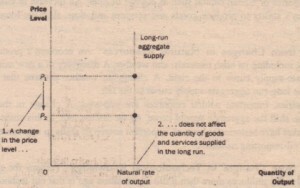 supply curve is vertical, as in Figure 4. 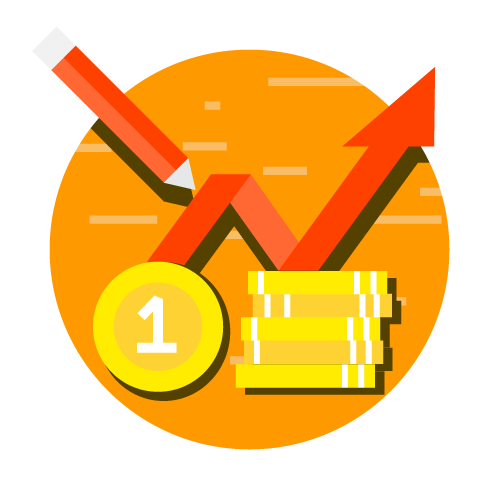 In other words, in the long run, the economy’s labor, capital, natural resources, and technology determine the total quantity of goods and services supplied, and this quantity supplied is the same regardless of what the price level happens to be. 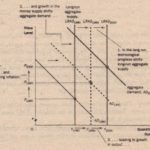 The vertical long-run aggregate-supply curve· is a graphical representation of the classical dichotomy and monetary neutrality: As we have already discussed, classical macroeconomic theory is based on the assumption that real variables do not depend on nominal variables. 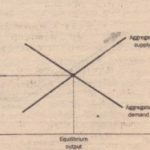 The long-run aggregate-supply curve is consistent with this idea because it implies that the quantity of output (a real variable) does not depend on the level of prices (a nominal variable). As noted earlier, most economists believe that this principle works well when studying the economy over a period of many years but not when studying year-to-year changes. 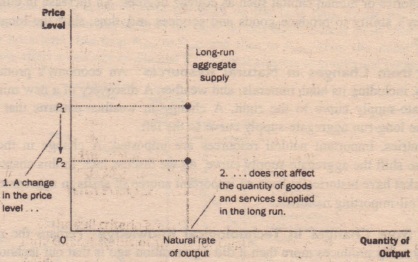 Thus, the aggregate-supply curve is vertical only in the long run.